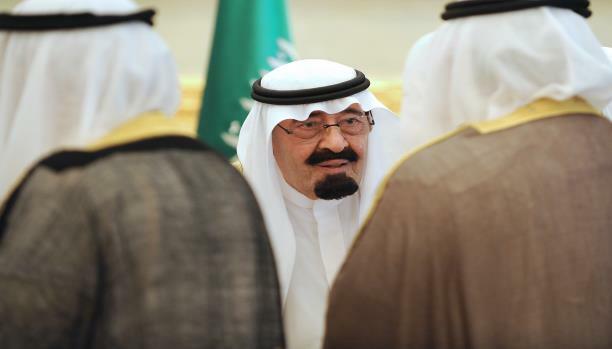 There are rumors about Saudi King Abdullah’s state of health. Some go as far as suggest that the monarch is already dead and some say he’s slipped into a coma. Riyadh is not the only capital worried about the monarch’s health and who succeeds him. Many countries in the region and around the world are closely following the news coming out of the kingdom. Hossein Rouyvaran, an expert in Middle Eastern affairs, believes there are some factors that complicate the question of succession. First, the ailing monarch has set up a council that names the king and the heir to the throne. So the succession won’t be automatic as is the case in other monarchies. Second, the current crown prince Salman Al Saud is suffering from Alzheimer’s and eventually many won’t approve of his accession to the throne. Of course, one should not forget the fact that King Fahd was suffering from the same disease toward the end of his reign. Back then Crown Prince Abdullah ran the day-to-day administration of affairs. That the selection of Salman is bound to draw objections makes the question of succession more challenging. Third, Prince Muqrin bin Abdulaziz, second in line to the throne, is another factor. Naming a second heir to the throne is unprecedented in Saudi history, but that is what King Abdullah has done. Prince Muqrin is not a member of the ruling elite. Accession to power is dynastic in Saudi Arabia. So far all Saudi monarchs have written wills naming all their sons to rule one after another after their demise. Their sons have not necessarily been from the same mother. The first three kings, Faisal, Khalid and Fahd were mothered by the same woman. Abdullah’s mother came from Al Rashid family. But Muqrin’s mother used to be a slave and his inclusion in the club of elite has drawn objections. Fourth, the grandsons of Faisal bin Abdulaziz Al Saud are demanding changes to the power structure. That has created serious challenges to the Saudi political establishment. A new generation of leaders needs to replace the old princes to settle the serious challenges the political system is faced with. The sons of Sultan bin Abdulaziz, a former crown prince, led by Bandar, those of Prince Nayif led by Interior Minister Muhammad Nayif, and the sons of Faisal led by Foreign Minister Saud al-Faisal are going to great lengths to pave the way for the rise to power of a third generation. Foreign factors are at play too. By keeping oil prices low Saudi Arabia has helped lift the West out of recession and put it on the path to growth. The West seeks to see a reliable individual rise to power in Riyadh. So, in addition to domestic variables, foreign elements are exerting efforts to make sure someone who listens to the voice of the West rises to power. That has further complicated the selection of a new king. Anyone who rises to power will need time to solidify his position. Buying time to cement his foothold will definitely be a pillar of the policies the next king adopts. So the next king will try to ease disagreements. Whoever takes that position won’t try to pursue the controversial policies of his predecessor as strictly and that amounts to an opportunity for Iran. So, a change of guard in Saudi Arabia might result in solutions to some regional crises. If the ailing king dies, Iran will definitely adopt a logical stance and won’t celebrate his passing. Rather, it will send a delegation to attend the king’s funeral. Saudi Arabia is a key regional player and one cannot ignore the kingdom. Iran is in favor of a Saudi kingdom that pursues Muslim unity. As long as Saudi Arabia acts in a sanctimonious way and follows divisive rather than uniting policies in the world of Islam, it will remain on a collision course with Iran. But if and when Riyadh quits this policy, Iran and Saudi Arabia can be the best of friends.